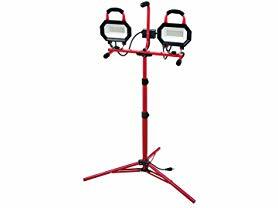 Today ONLY this Portable Dual-Head LED Worklight $57.99 (Retail $99.99). How many times have you wished you had more light in your garage workspace? The Energetic Lighting Dual Head Work Light gives you exactly what you need and the versatility makes it perfect for any workspace, small or large.